This 900 sq ft, 2 bedroom 1.5 bath cottage is perfect for couples or families alike. This home was built in 2017, comfortably sleeps 6 and has a full kitchen and laundry facility. Beautiful views of the surrounding mountains and forest. Enjoy the covered front porch or bring your poles to drop a line in the private fishing pond. Explore thousands of acres of timber, streams and mountains right out your doorstep. Very private setting, yet only 30 minutes to Moscow, ID and 45 minutes to Pullman, WA. 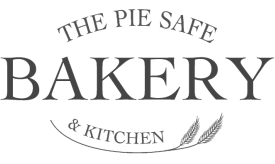 Each stay includes a gift card to the Pie Safe Bakery. Enjoy award winning artisan cheese, amazing pastries, sandwiches and pizza on us! There is not a telephone or TV at the home but AT&T and Verizon both have good cell service and there is WiFi.